These are dangerously tasty...I could eat bowls & bowls! Have you tried egg whites as the "glue"? This looks tasty, gonna have to try it. Carol - Thanks! I've had that pizza grate hanging around forever, but had never used it. Happily, it finally found a purpose in life. 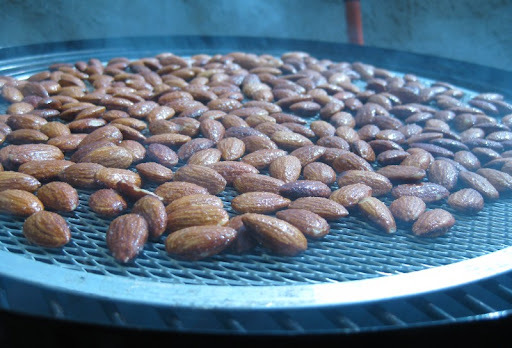 Bbq Dude - I'm surprised you haven't done smoked almonds before! 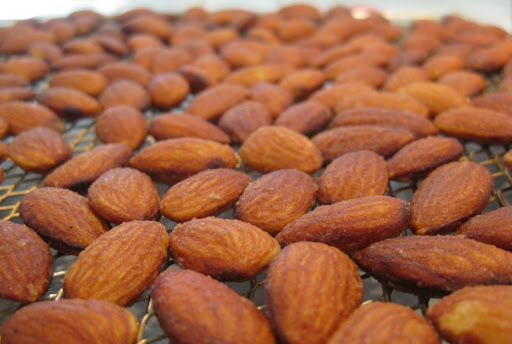 Definitely give it a go, but I'd suggest doing a double batch. Like Peter said, it's easy to eat bowls and bowls of them. I'm going insane because I'm on a biz trip and can't make these right now. Hi Erika - I like the idea of using sriracha. Having some heat would definitely be a nice variation. Hi butchersapprentice. Glad you liked them - we need to make another batch! 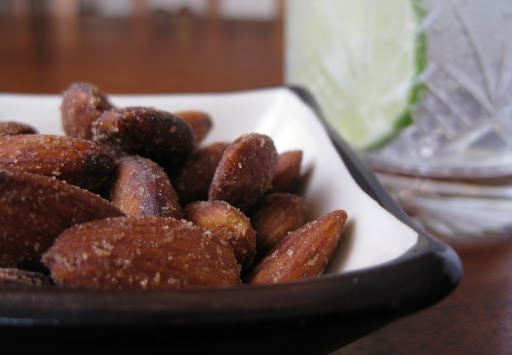 These were a complete hit with family & friends during the mid-winter festivities --thanks for the inspiration! Hi Mosaica - I bet they would be great in chocolate. 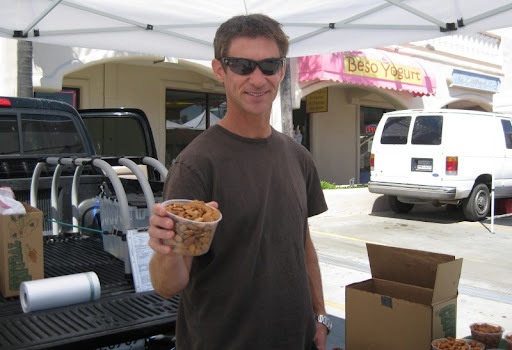 The sweetness works really well with the nuts in our Smoked Almond Brittle. We made these last night on our smoker while we were cooking beef ribs. Thank goodness I had a coffee grinder to make the dust. They are AWESOME. Thanks so much. I just read this again. 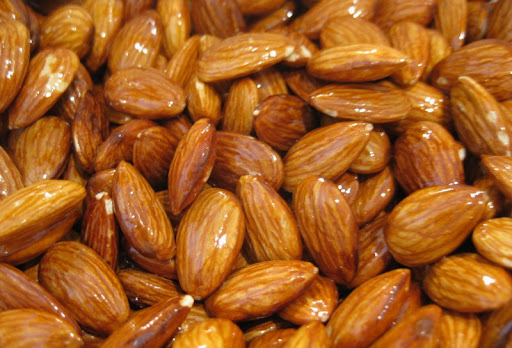 I have friends who are going to smoke some pork belly on my smoker and I decided to toss in some almonds in all the empty spaces, thanks!